Each year, pairs of classrooms from different elementary schools are linked for Kids Discover the Trail! Ithaca (KDT! Ithaca) learning experiences according to which middle school they will enter together. Teachers of the classroom pairs plan additional activities together that give students more chances to develop relationships with their buddies. Some visit a Discovery Trail site, or each other’s school or school neighborhood, or another cultural or recreational location. KDT! Ithaca is a collaboration between Ithaca Public Education Initiative (IPEI), Ithaca City School District (ICSD) and the Discovery Trail. KDT! provides every district student with the opportunity to connect their learning to the rich experiences available through one of the eight Discovery Trail organizations during each year of elementary school. 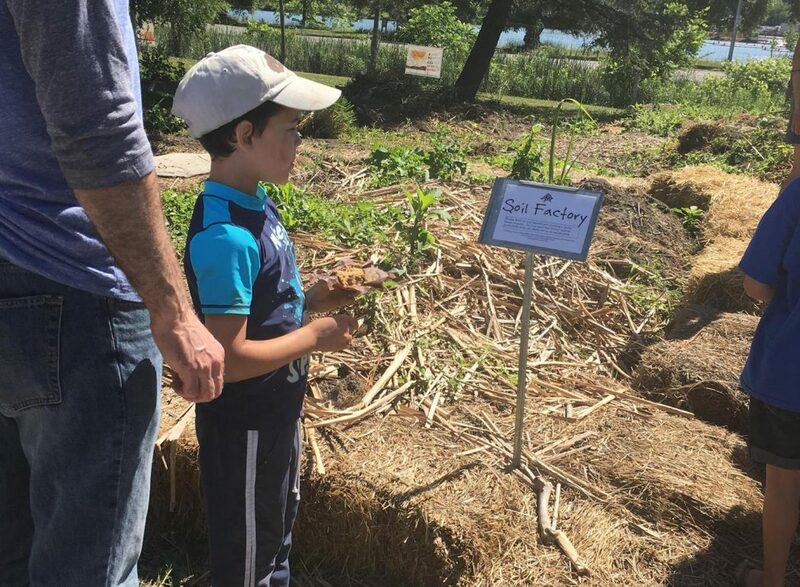 On Friday, June 17, second-graders from Belle Sherman Elementary School and Northeast Elementary School gathered at the Ithaca Children’s Garden (ICG) for a Buddy Up trip. It was lunch time for the chickens, and the students were more than happy to provide them with a delicious meal. The children took turns picking lettuce from a nearby garden before returning to their stations at the chicken coop. As a speedy chicken approached a student who just gave away his last piece of lettuce, his buddy sitting next to him was quick to solve the problem. He passed his own last piece of lettuce to his friend, allowing the hungry chicken to be fed. On the other side of the garden, students played together in the water fountain line at the Soil Factory. They chatted happily with each other as each student filled up their bucket with water so that they could hydrate the soil. Once they left their positions in line and returned to crouching above the dirt, their focus was laser-sharp. They helped each other to dig holes, ensuring that no one was left out. And when one child made a discovery, they all did. When one student proudly announced that she found five worms, the other students quickly ran over to her to share in her discovery. 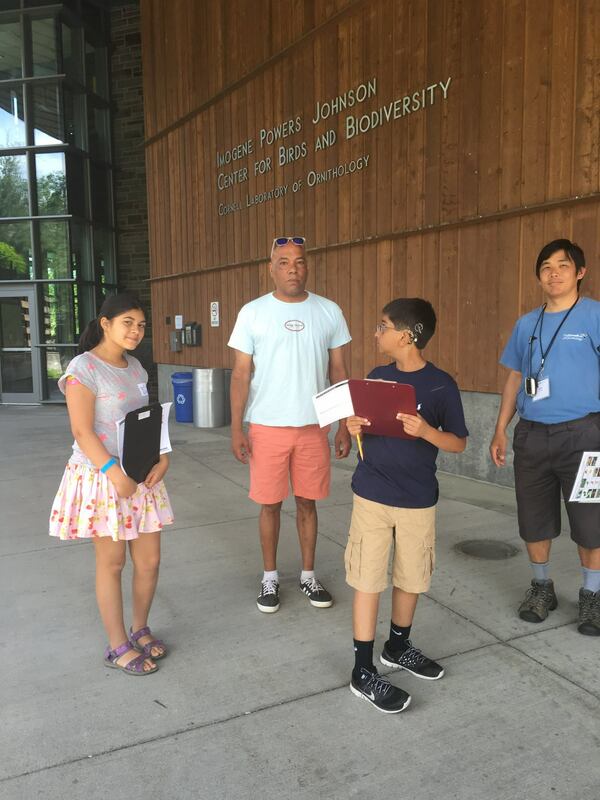 Meanwhile, fifth-grade students from Belle Sherman and Beverly J. Martin Elementary School visited Cornell University’s Lab of Ornithology to learn about biodiversity. They were given the opportunity to explore the trails, taught how to identify birds, and even experienced the sound lab before hopping on the bus back to their respective schools. Leading up to middle school, students receive the opportunity to visit their buddies at their elementary schools, become pen pals with their buddies, and join their buddies in various activities organized by their teachers throughout the school year. Mary Grainger, member of the KDT! Ithaca Advisory Committee, recalls kindergarteners who held hands with each other during their visit to the Tompkins County Public Library. “Even as kindergarteners, they had already become friends,” she expressed. Curious as to how the students had formed such a closeness so quickly, Mary asked Belle Sherman kindergarten teacher Jill Hellerman to explain how she had encouraged their social interaction. Jill revealed that the teachers had organized a Buddy Up visit prior to their KDT! trip to the library, providing students with more time with their buddies. Often, teachers will organize connections between classrooms for this specific purpose. “It proves that social interaction is deeply embedded into their learning experiences,” says Grainger. Arranging Buddy Up visits prior to the students’ academic content trip with KDT! Ithaca allows students to form stronger bonds with one another. Once they arrive at their KDT! Ithaca site, friendships have already been made. Back at the Ithaca Children’s Garden, the chickens and soil were finally well-fed, meaning that the students were free to partake in their own lunch together. They talked excitedly about the day with their friends, both new and old, as they ate. 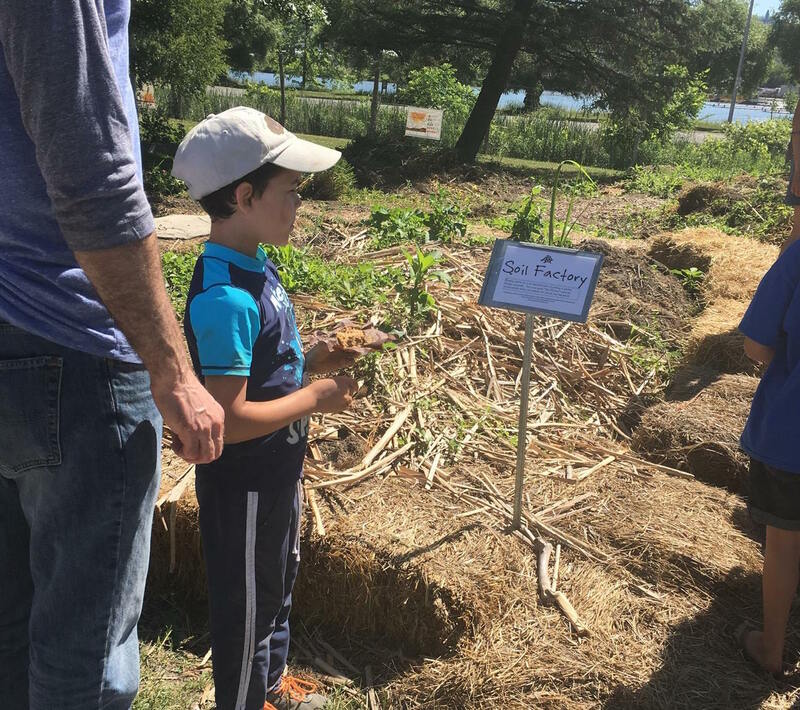 Teachers, parent chaperones, and the Ithaca Children’s Garden staff watched the students fondly as they interacted with one another, knowing that the impact of these experiences will last far into the future.